Moin has been living in Mouraria for four years, but it feels like he has lived here all his life! He knows everything and everyone we come across with on the street. He spreads good mood with just a smile. 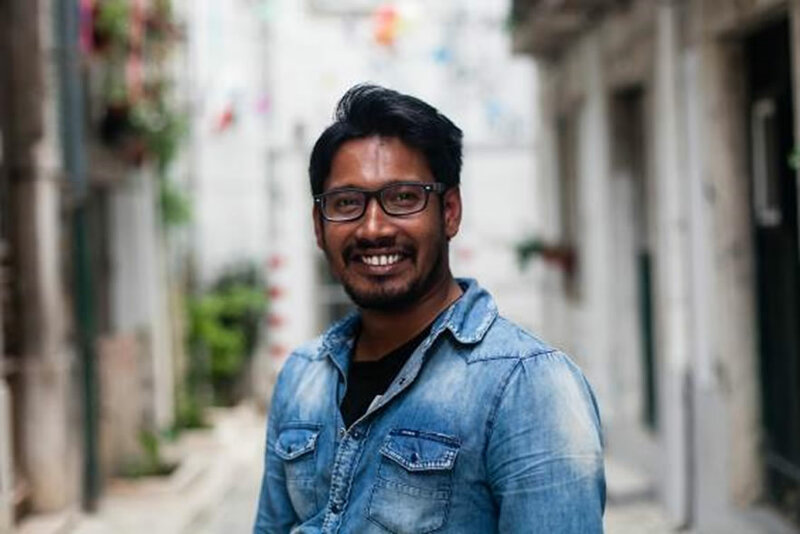 He studied Business Management in London and came to Portugal in 2010 for a vacation – but he never left! Fell in love with the streets and cultures that inhabit this neighborhood. On his free time he dances to Bollywood music and is soon becoming a community mediator. To become a migrant guide has deepened his knowledge on this neighborhood’s different cultures and history.